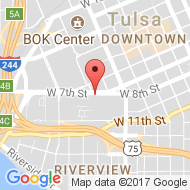 The Oklahoma Supreme Court on Sept. 26, 2016 declined to review the Oklahoma Court of Civil Appeals decision in a drivers license revocation case that effectively – should – make breath test evidence from the current generation of breathalyzer machines inadmissible in Oklahoma DUI cases. It might be too early to tell what, if any, affect the ruling will have on drunk driving prosecutions in Oklahoma. In a world where up is always up and down is always down, the decision would effectively make the Intoxilyzer 8000 obsolete in Oklahoma. Whether that will be the result, we do not know. All we can say, so far, is wait and see. One problem in knowing how far the decision will reach is Oklahoma’s bifurcated court system. In Oklahoma, the buck stops in different places depending on whether an appeal involves civil courts and criminal courts. In such two-headed system, it sometimes seems up can be up and down at the same time. Eric Sample v Dept. of Public Safety (2015 OK Civ App __) was heard on the civil side of the court system. At issue was a civil drivers license revocation hearing. The court was asked to decide whether canisters of gas used to calibrate the breathalyzer had been properly approved under Oklahoma administrative rules. They were not, the courts concluded. In so far as the Sample decision sets precedent for Oklahoma civil courts, the Dept. 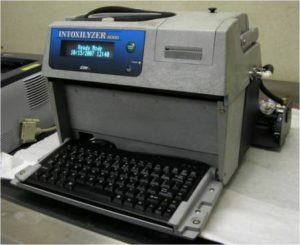 of Public Safety will probably not argue that Intoxilyzer 8000 breathalyzer tests, as currently structured, provide sufficient evidence to revoke drivers licenses after DUI arrests in Oklahoma. Earlier this year, anticipating the eventual loss at the Oklahoma Supreme Court, state official responsible for overseeing the tests advised police and prosecutors to prepare their revocation cases as if breathalyzer evidence would not be available. Meanwhile, DPS has generated a backlog of thousands of cases where drivers have requested hearings. DPS declined to schedule administrative hearings, they say, because of budgetary constraints. Even if DPS embraced a fast-track approach in that backlog of administrative drivers license revocation hearings, each of the cases could then be appealed in district courts. There, courts would consider two things: whether the driver refused a breath test and, if they took the test, whether it produced results of more than .08 percent, the legal limit. With breathalyzer evidence disqualified, DPS cannot prove anybody tested above the legal limit. That is just the civil side. The other side of a DUI case is criminal. The DPS civil revocation hearing can result in loss of driving privileges, but a criminal DUI case is a misdemeanor charge, and on subsequent convictions, increasingly severe felony DUI charges. 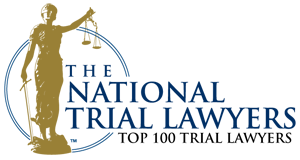 Oklahoma DUI attorneys have all the more reason to challenge evidence in criminal DUI cases. Questions about the evidentiary merits of Intoxilyzer 8000 breathlyzer tests in criminal DUI cases would go to the Oklahoma Court of Criminal Appeals. That court has at times adopted divergent views, contrary to the Oklahoma Supreme Court’s ruling on arguably trivial matters. The criminal appeals court could likewise decide the Intoxilyzer 8000 protocols are duly authorized under state administrative rules, contrary to the civil court’s decision. A 2014 Oklahoma Court of Criminal Appeals decision, however, suggests the criminal court tends to agree with the Oklahoma Supreme Court about breathalyzer rules. It was, however, an unpublished decision, which lacks authority as precedent. The court handed down the ruling in an appeal of a manslaughter case. The criminal court concluded no properly authorized maintenance procedures guide law enforcement agencies’ use of the breathalyzer. What is the Future of the Intoxilyzer 8000? The simple solution would seem to be for the Board of Tests for Alcohol and Drug Influence to simply pass rules for maintenance procedures and approval of calibration gasses. They tried that. The problem is, Oklahoma administrative code requires administrative rules to be published for public comment, then offered for legislative and gubernatorial review. Somewhere in that process, it is likely somebody will ask the company that makes Intoxilyzer 8000 machines exactly how their breathalyzer works. The answer? Secret code. The new generation breathalyzer is digital. Its operation relies on a proprietary computer program. The manufacturer is not likely to show up at a legislative hearing and spill the beans on its closely guarded trade secrets. Even if legislators stipulate by law that breathalyzer results must be accepted in court as reliable evidence, the courts might get the last word. Oklahoma’s Constitution says the legislature shall not pass any special law “changing the rules of evidence in judicial proceedings.” Courts might set aside as unconstitutional a law that say evidence is reliable in the absence of proof that the evidence is reliable. Oklahoma’s Constitutional Bill of Rights further says an accused has a right to confront witnesses and compel witnesses to appear at trial. With earlier generations of breathalyzers, experts witnesses could be cross-examined about procedures used to calibrate, maintain and operate the machines. That is not the case with the digital Intoxilyzer 8000. Without that level of scrutiny, legislators and courts alike should ask if the breathalyzer has been programmed to give answers operators want to see in DUI cases. A company that sells breathalyzer machines would have means, motive and opportunity to skew results. The motive would to be sell more machines. Secret computer programs provide means and opportunity to skew results in favor of customers who buy the machines. To avoid a difficult legislative review of secretly programmed evidence machines, the Board of Tests for Alcohol and Drug Influence tried something different. It passed a rule that said it did not need to submit certain rules for legislative review. The legislature signed the blank-check rule, allowing the Board of Tests to adopt breath testing rules by resolution at board meetings. The board then certified as reliable calibration canisters for the Intoxilyzer 8000, without submitting the rule for review. In Sample v. DPS, the Oklahoma Civil Appeals Court said such rules approved under that blank-check rule-making authority were, basically, worthless checks. The state Supreme Court on Sept. 26, 2016 declined to second-guess the lower court, and the decision stands. The breathalyzer rules are out, at least in drivers license revocation cases. If up is up and down is in fact down in Oklahoma, Intoxilyzer 8000 evidence would be down for the count in Oklahoma DUI cases as well. The final decision in Sample changes the game in Oklahoma DUI cases. Attorneys sometimes suggest that drivers refuse a breathalyzer test, essentially taking a fall in civil revocation hearings for refusing the test but improving their chances in a criminal case. With the Intoxilyzer 8000 ruled inadmissible in revocation hearings, and of dubious value in criminal cases, drivers might do better to consent to testing on a machine for which results will not be admitted in legal proceedings. If you have been charged with DUI in Oklahoma, it is as important as ever that you seek reliable legal counsel about the charges against you. Prosecutors may rely on evidence from breathalyzer machines that were not property approved under state rule-making procedures. Police are more likely to rely on other, subjective indicators that likewise been shown to be unreliable. Prosecutors may try to persuade a jury that field tests designed to help police explore suspicions of intoxication are instead proof of intoxication. For a free, confidential consultation with a Tulsa DUI lawyer, contact Wirth Law Office at (918) 879-1681 or send you question using the email form on this page for a prompt response.